Kara Richardson Whitely thought she could do anything. After all, she climbed Mount Kilimanjaro-three times! But now she's off the mountain and back home again, and there's one thing she just can't manage to do: lose weight. In many ways, Kara is living the life of everywoman, except that she's not everywoman because she weighs 300 pounds and is tormented by binge eating disorder. Her weight is a constant source of conflict and shame, as the people from every corner of her life, from her coworkers to the neighbors down the street, judge Kara for the size of her body. When it becomes just too much to tolerate, Kara turns to therapy and weight-loss surgery, a choice that transforms her body-and her life. Kara's story is one of living as a fat woman in America, where fat prejudice is rampant despite our nation's pandemic of obesity. 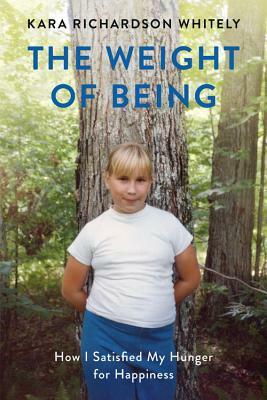 In this fresh, raw memoir, Kara reveals this epic contradiction, and offers a revealing comparison of life before and after radical weight loss. Kara Richardson Whitely has hiked Mount Kilimanjaro three times while weighing as much as 300 pounds. Kara, a motivational public speaker, has written for Self, Everyday with Rachael Ray, and Runner's World magazines. She was recently featured on Oprah's Lifeclass and Good Morning America, and in The New York Times, Redbook, Weight Watchers, and Backpacker magazines. She lives in Summit, New Jersey, with her husband and three children.